An eight to a quarter cup cleans effectively at all water temperatures, even in hard water. One gallon of Oasis yields more than 3,200 gallons of washwater which is safe for plants and fully reusable for irrigation. The special formula has no sodium salts. Oasis Biocompatible Laundry Detergent is designed and tested to be biocompatible with plants and soil, as well as for the disposal of treated wastewater in aquatic ecosystems. It is the best choice for septic tank disposal and the only choice for reusing wash water for irrigating plants-the most ecological alternative. Disposed of in a septic tank or greywater system, microorganisms and plant roots will biodegrade Oasis. Ingredients: Purified water, Linear alkyl sulfonate, linear alcohol ethoxylate, citrus oil. Directions: Use 1 oz. (1/8 cup) for front loader, 2 oz. (1/4 cup) for top loading machines. Use more for heavily soiled loads or large capactiy washers. Always test for colorfastness by rubbing a small amount directly on a hidden part of the fabric. Rinse thoroughly and check. Use with hot or cold water. Oasis Biocompatible Laundry Detergent is designed and tested to be biocompatible with plants and soil, as well as for the disposal of treated wastewater in aquatic ecosystems. It is the best choice for septic tank disposal and the only choice for reusing wash water for irrigating plants-the most ecological alternative. Disposed of in a septic tank or greywater system, microorganisms and plant roots will biodegrade Oasis, removing the break down products and leave only pure water behind. 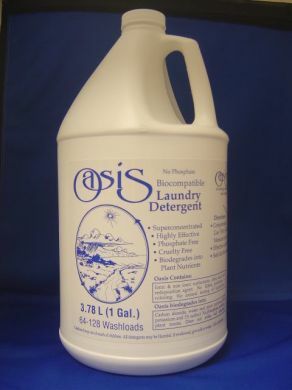 Oasis Biocompatible Laundry Detergent is designed and tested to be biocompatible with plants and soil, as well as for the disposal of treated wastewater in aquatic ecosystems. 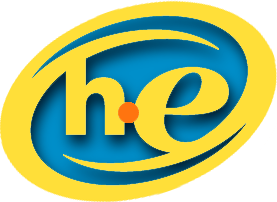 It is the best choice for septic tank disposal and the only choice for reusing wash water for irrigating plants-the most ecological alternative. Disposed of in a septic tank or greywater system, microorganisms and plant roots will biodegrade Oasis, removing the break down products and leave only pure water behind.